BodyBook is a social fitness platform. The new engagement engine for just about anyone who wants to promote regular physical activity. 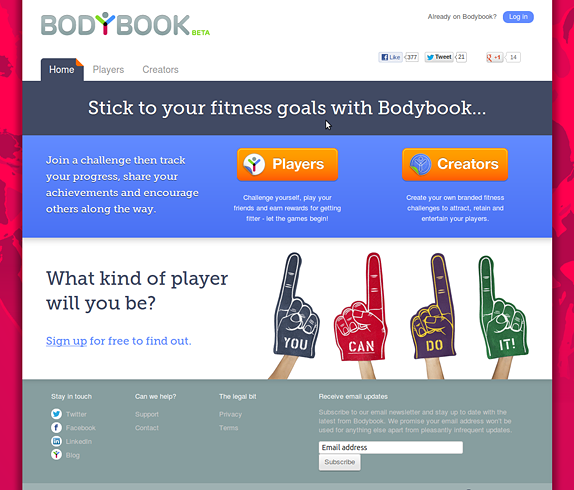 BodyBook is a new way to reach, build and engage your audience using the power of social fitness and game mechanics.